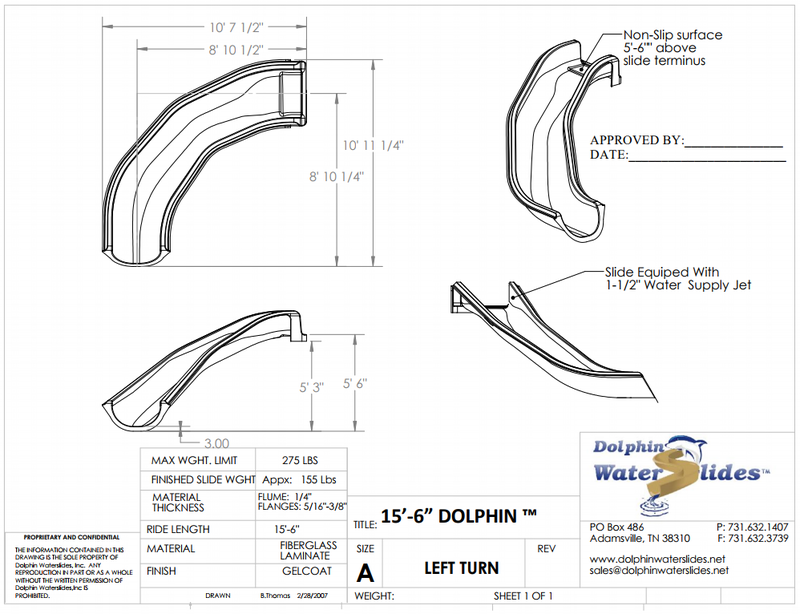 One Piece Water Slides | Dolphin Waterslides, Inc.
First introduced in the early 90’s, the 15.5′ Dolphin one-piece slide started a water slide movement in the residential pool industry. The days of retail only water slides being the only option for a homeowner’s pool where eliminated. This new single piece slide was affordable, visually appealing, and the final issue this simpler slide addressed was safety. 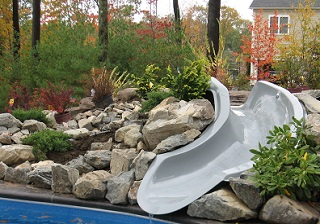 With the perfect slope, ride length, and professional installation taking under a day, homeowners and pool builders alike have continued to fall in love with the easy to install affordable, and extremely adaptable one-piece pool slide. 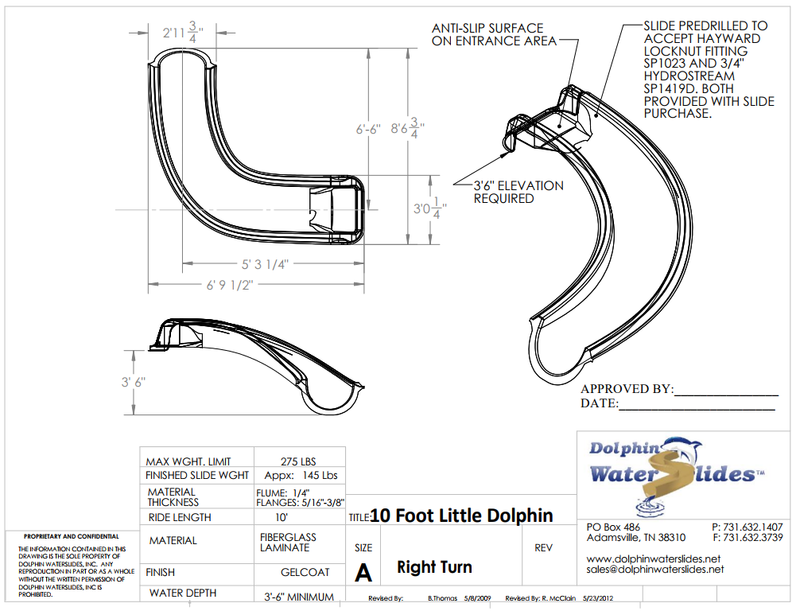 The 15.5′ Dolphin slide was designed to be installed in a way that would all but eliminate the need for ladders and plastic treads that wet feet could easily slip on. 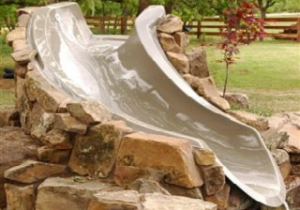 It allowed the homeowner and pool builder to finally tie the water slide into the landscaping or hard-scaping projects safely, rather than the slide going in as a free-standing afterthought. 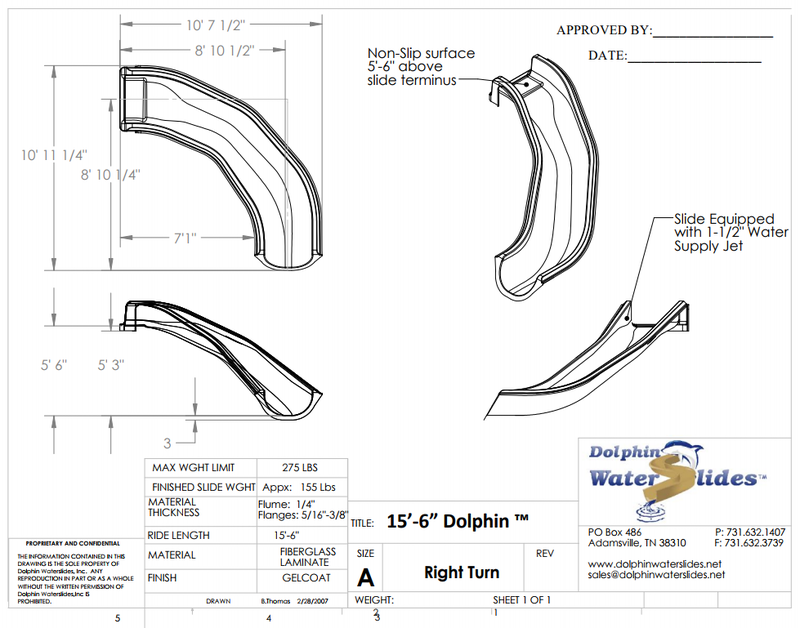 The 15.5′ Dolphin is still going strong all these years later and we have created a newer smaller version for heavily populated areas where homeowners just don’t have the larger space needed to work with. 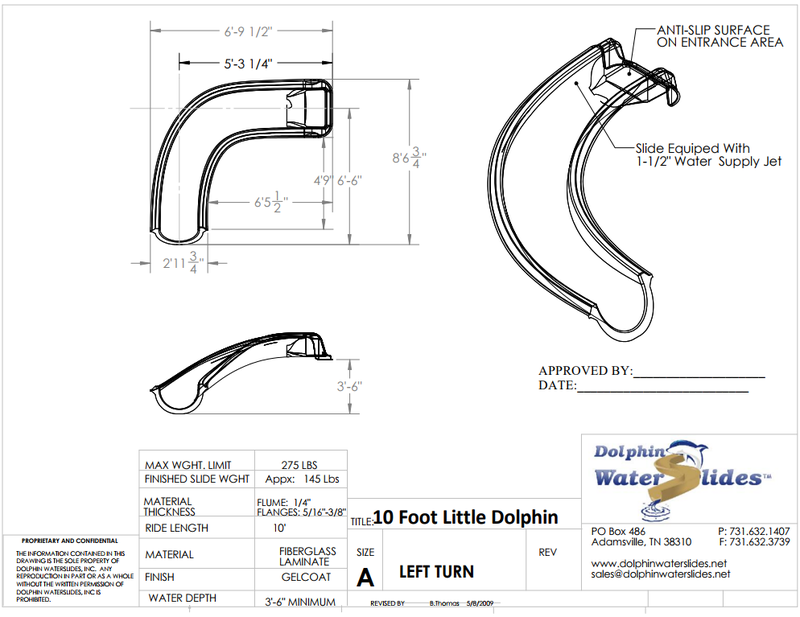 The 10′ Little Dolphin was introduced in 2006 as another option in our seamless water slides. 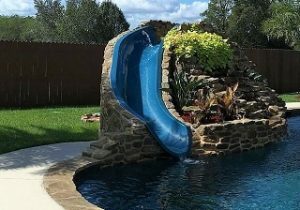 This newer version provides all the fun of a water slide, scaled down to fit a smaller pool area, without sacrificing style. 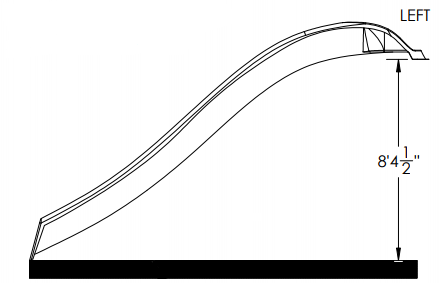 The 19′ Speed Slide. It is exactly what it says! If you want fast, if you want fun, ask us about the newest addition to our line of seamless water slides. 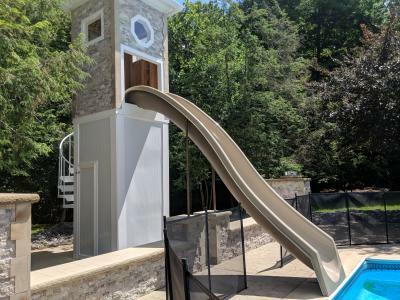 This inline pool slide needs an elevation of 8’4″ and works best off of a platform either existing or designed for the slide.